Walk by any Chipotle Mexican Grill (CMG), and the lines for burritos and tacos usually appear endless. Investors are hungry for the stock too. It's up nearly 30% this year and approaching 52-week highs. That's not a good thing for two fund managers who have been making big bets against Chipotle's stock. Both Greenlight Capital's David Einhorn and Doubleline Capital's Jeff Gundlach have said they are shorting Chipotle. 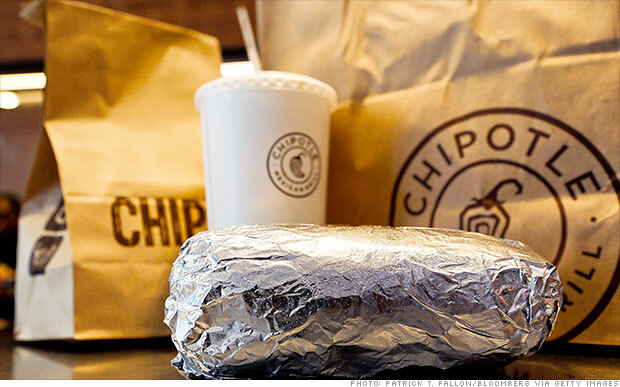 Hedge fund managers might like Chipotle's burritos, but some are betting against the company's stock. Last October, Greenlight Capital's David Einhorn revealed a bet against Chipotle Mexican Grill (CMG). On Wednesday, bond fund manager Jeffrey Gundlach of investment firm DoubeLine Capital joined him in talking down the fast food chain.